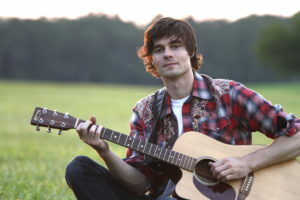 Matt Nakoa grew up on a small goat farm in Smyrna, NY and began composing music as a teenager. Following a formative stint as a classical pianist, Matt won scholarship to attend Berklee College of Music in Boston. There he studied alongside soon-to-be Grammy winners St. Vincent and Esperanza Spaulding, among others. After college, Matt toured with his band, The Fens, and eventually landed in New York City’s vibrant piano bar scene. Matt quickly became a star performer at Manhattan’s Brandy’s Piano Bar, with lines outside the door each Saturday night. He was dubbed the “Most Wanted Artist” at the Falcon Ridge Folk Festival in 2014. Our Times Coffeehouse is in the Ethical Humanist Society building, 38 Old Country Road, Garden City, two miles west of Meadowbrook Parkway next to the blue water tower. For more information, call 516-741-7304. Tickets on sale at the door. Sorry, no pre-sales are available. The Our Times Coffeehouse, staffed entirely with volunteers, has been presenting live music for over 30 years. OTC is dedicated to supporting affordable folk music on Long Island, and over the years has hosted hundreds of outstanding performers in a warm, intimate setting. The Our Times Coffeehouse is a joint project of the Ethical Humanist Society of Long Island (EHS) and the Long Island Progressive Coalition (LIPC), with the assistance of the Research and Education Project of Long Island (REP-LI).